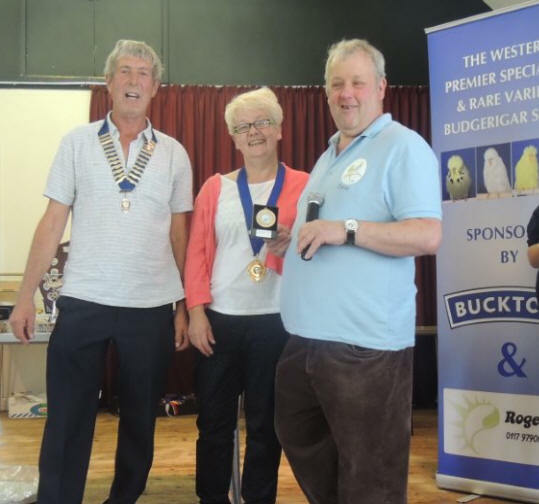 Held in conjunction with the Western Premier S & R Budgerigar Show at Claverton Down Community Hall, Bath. As Presidents Of the C.B.B.A we’re delighted to report That the area show was a great sucsess in that 41 Yellow Wings and 49 Whitewings were benched, with 469 birds benched in total. Bill and myself had never visited Bath so we took the opportunity to venture down on the Saturday arriving at about 4pm to be met off the M4 by Dave Guppy. We had a welcome cup of tea at the home of Dave and his dad John. We were made very welcome by them both and were able to look at the birds and have a nice chat before going to the show hall and helping for an hour with the staging and meeting the friendly bunch of fanciers also helping. We spent the night at a B & B arranged for us near to the Show hall and spent a pleasant Sunday morning in Bath before going to the show. 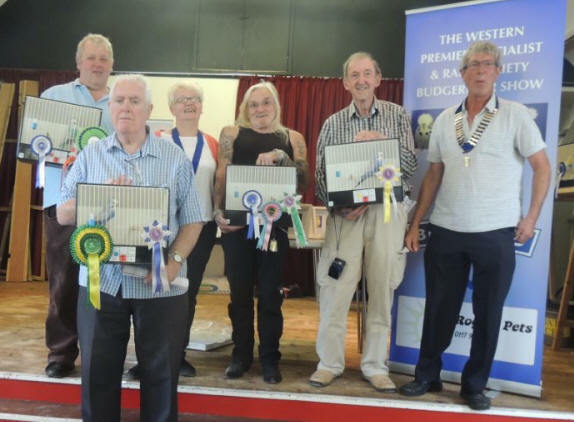 Bags of seed, show cage covers, cash prizes (donated by the Presidents ), medals and diplomas were presented to the winners. Many Thanks To Dave Guppy and all the team in Bath for a superb show and making our weekend special and well done to all the Winners.